From the effective Matrix metering system, to its ability to produce detailed, vibrant images, we think the Nikon D750 should definitely be on your shortlist if you're looking to spend in the region of £1600 on a new DSLR. 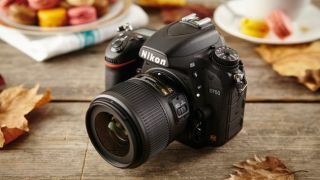 We were particularly impressed by the full-frame camera's tilting screen and although some more discerning DSLR devotees may consider this Nikon's bent towards less-experienced snappers a little off-putting, there are plenty of expert features to appreciate once they get going. It genuinely is a camera for everyone. At the bottom of this page, you'll find a rundown of the the best prices you can find the D750 for right now - with offers from high street stores and online both included. Spoiler alert...we think the Nikon D750 is pretty darn brilliant.